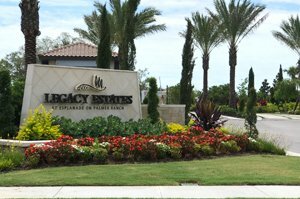 Legacy Estates is an upscale satellite neighborhood of Esplanade on Palmer Ranch. Both are being developed by a leading national builder, Taylor Morrison. This pair of housing projects is located just west of Honore Avenue a short drive south of Clark Road and only two miles west of I-75. The homes for sale at the Legacy Estates neighborhood had a grand opening in early 2017 following the completion of its model homes sometime during the fall of 2016. This development drew its name from the popular Legacy Trail, of which a section of its 10-mile stretch runs on the western periphery of this property. About 147 single family homes are planned on Legacy Estates’ site of more than 100 acres. This expansive parcel abuts many existing Palmer Ranch homes for sale such as those south at Silver Oak and east at Bay Oaks Estates. This Taylor Morrison development is set as a gated community with an exquisitely landscaped entrance. In keeping with its prime Palmer Ranch location, the Legacy Estates development’s blueprint likewise features a delightful setting of lakes, lush preserves and grand oak trees. Taylor Morrison lures prospective buyers of Legacy Estates homes for sale with the resort lifestyle it offers in this Palmer Ranch development. Purchase of a residence in this community is bundled with access to several leisure facilities including a pool and spa, Bahama bar, and gathering rooms with catering kitchen. Other community amenities include a fitness center, wellness and spa services, tennis courts, a fire pit, a dog park and walking paths connected to the Legacy Trail. Besides all these, the Scottsdale, Arizona-based developer stokes market interest on Legacy Estates homes for sale with their superb designs and luxurious finishes. The floor plans of these residences range from 2,862 to 4,789 square feet in three- to five-bedroom designs, with their pricing starting from the $500s. Legacy Estates homes for sale are truly impressive in their open concept and designer touches. Would-be buyers can also personalize their choices, as Taylor Morrison provides flexible options for the homes’ dens, media rooms and game rooms, guest suites, and outdoor living spaces. 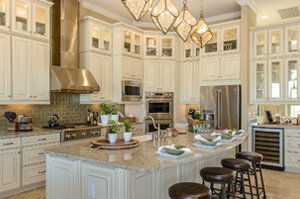 One of Legacy Estates’ home offerings, the Mercede VI, was cited as the best overall in its category during the 2017 Manatee-Sarasota Parade of Homes. It took this honor after having been adjudged in this annual showcase for the best curb appeal, best kitchen and best architectural design. It features a floor area of 3,276 square feet designed with three bedrooms and with an asking price quoted at close to $1.17 million. 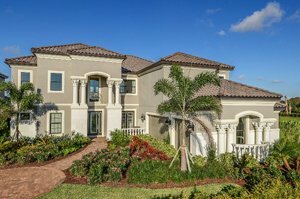 Custom builder Arthur Rutenberg Homes is also offering a brand new model home in Legacy Estates at Esplanade on Palmer Ranch. Set for completion in October 2017, this build is also a million-dollar home with four bedrooms and four baths within a floor area of 3,896 square feet. Legacy Estates is conveniently located near top-rated schools and enjoys proximity to popular shopping, dining and recreational venues as well. The Gulf Coast delights of Siesta Key Beach and Long Boat Key are within as easy reach too from this community. Likewise within its five-mile radius are three major health care centers and some of the most prestigious golf and country clubs in Sarasota.